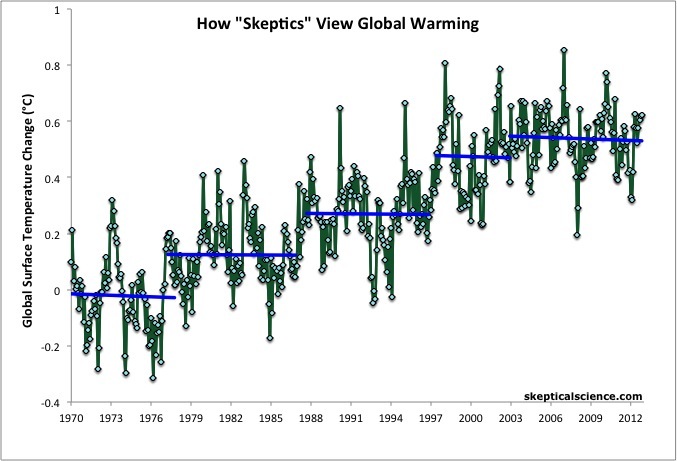 This entry was posted in Climate, Politics and tagged cherry picking, global warming, mean temperature, scepticism, skeptical science. Bookmark the permalink. No matter how you interpret the temperature graph over the last 35 years, the graph is merely evidence that the earth’s climate changes, it is not evidence that CO2 is the cause. 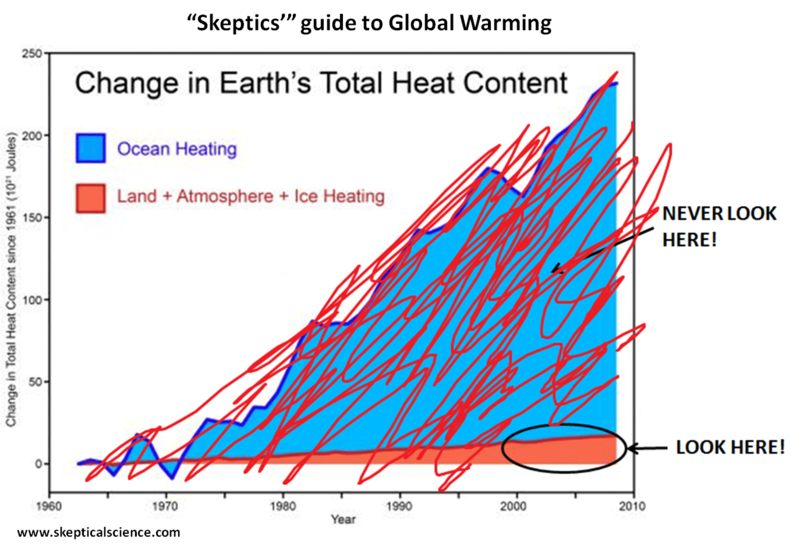 Certainly looking at temperature alone does not tell us the cause of the warming. But there is a vast body of scientific research that tells us humans are the cause. If by CO2 you mean “human made emissions”, and suggest we have no proof that these have an impact on climate change, you underestimate the issue of scale (another sceptics’ classic). Across its history, the planet had already experienced changes of the mean surface temperature. But they occurred in a span of hundreds of thousands years. A change of 1 or 2 degrees in a span of 150 years is a totally different phenomenon, and it’s very likely to have different causes, namely the greenhouse gases. There is also an app (for Android, don’t know about iOS) which collects all the skeptical myths and their debunking arguments from that site, organized in a very handy taxonomy.